I've read a lot of good, even beautiful, books in my life, but this one is something extra special. I'm probably not capable of doing it justice in a simple book review, as it's one of those stories that touches each reader differently. In fact, I bet that the next time I read this through, it will affect me differently... and the time after that, as well. 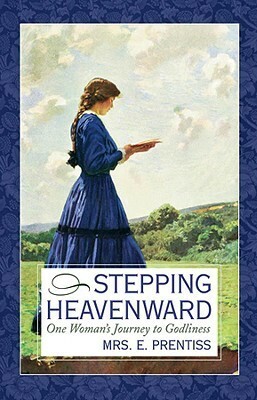 Stepping Heavenward was published in 1869 by Mrs. Elizabeth Prentiss, daughter of the Rev. Edward Payson, D.D. and wife of Presbyterian pastor George Prentiss. She was a loving mother and homemaker and desired to bring to her readers, "patience, fidelity, hope, and all goodness by showing how trust in God and loving obedience to His blessed will brighten the darkest paths and make a heaven upon earth." The story follows the journey of Katherine as she steps into young womanhood on her sixteenth birthday to her later grown up years in her late 30s. She learns that true satisfaction is found in serving others and allowing herself to be used by God as a wife, mother, and homemaker---and helper in her community as God leads her. After finishing this book, I craved more spiritually-minded reading. It was so encouraging---the author exposed the heart of a young woman to perfection. We think of Victorians as so pious but people in her day were dealing with the same heart issues and questions about God that we do today. I actually picked up several book suggestions from reading, Stepping Heavenward, including Thomas a Kempis', The Imitation of Christ. I was blessed to find an antique copy of it at our library book sale just a day or two after putting it on my wish list. Stepping Heavenward is a book I'll come back to again and again. I can't wait to share it with my daughters, when the time is right, and I'm so encouraged by the examples of Godly women, both in Mrs. Prentiss and in the characters she's created. 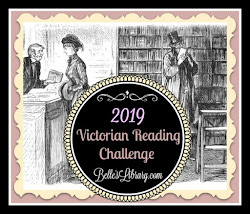 Victorian Reading Challenge at Becky's Book Reviews for "Book Published 1861-1870"
Full House Reading Challenge for "Book Club Worthy"
I just read this in January. More like devoured it. I loved it. It spoke so much to me. I felt like I penned some of the same words when I was younger. This is a book I plan to find extra copies to give as gifts to young married women or older teen girls. Loved it. I wish I would have had a book like this when I was younger. I wish I would have had the spiritual maturity to think some of these thoughts! Sounds like a beautiful book and one that most Christian women would enjoy. Thanks for sharing. Thanks for stopping by, Sandi! This sounds like a book that my daughters would enjoy. I'm not sure they are quite old enough yet--but it's something to add to the list of books I would like to get them as they get older. Thanks for sharing this. Definitely. My 10 year old daughter asked to read it, but I'm not sure how much she'll understand. Still, I'm happy to have a book such as this that I'd be comfortable handing to any age daughter. Sarah, I first read this book when I was thirteen or fourteen years old? It was one of the first books I read that moved my heart and stirred up a desire for godliness in my life. I am sure E. Prentiss' book would have a different effect on me now as well, because this book really leads women through the progressing phases of womanhood and what it means to serve Jesus in the different seasons of our life. It sure does! It seems the story stopped in the woman's mid to late 30s---which is just where I'm at. I saw versions of myself at each stage. It was wonderful! Yes, I do believe they are encouraging in similar ways. Thanks for the invitation to link up. I'll stop by this week! I will have to read this! I have been reading novels from the 1800's and enjoy them so much. I have read many Isabella Alden novels along with her niece Grace Livingston Hill. I am currently reading Elizabeth Gaskell novels. Sounds like an excellent read — thank you for sharing your review at NextGen Homeschool's Homeschool Mother's Journal blog link-up this week! I would love to read this story. it sounds light a very uplifting book. Thank you for the review, Sarah.